If you would like to have more information about the band or book the band for your event, please drop us a line. Please leave your name, phone number and e-mail address. Thanks and have a great day! 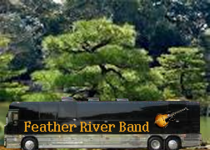 If you would like to know when we are playing near you, please let us know what town you live in and we will notify you via e-mail when we are near you. Thank you!